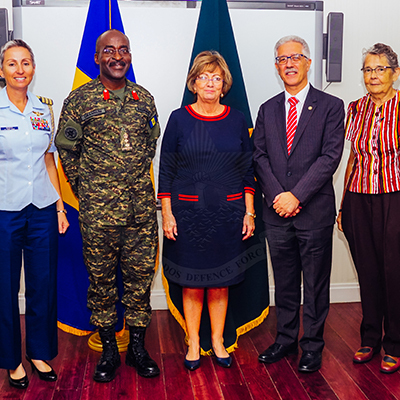 The United States Embassy, through its Military Liaison Office, will partially fund the development of an Emergency Medical Team (EMT) Level 2 Capability Project within the Barbados Defence Force as part of a Pan American Health Organization and World Health Organization proposal. EMT Level 2 Capability will afford the Barbados Defence Force the capacity of providing basic surgical expertise, life support services and ancillary services. The project will support countries of the Eastern Caribbean by creating a high quality and flexible rapid deployment team that can triage and treat patients in the shortest possible time in case of major medical emergencies, as well as respond to the health consequences of climate change related disaster and other public health threats.